Broad Spectrum antibiotic effective against E. coli (Enteritis), Mycoplasma (Chronic Respiratory Disease) and Chlamydia (Psittacosis). Ideal for use as a front line antibiotic when birds become ill but a sure diagnosis is not possible. Effective when administered in either food or water. 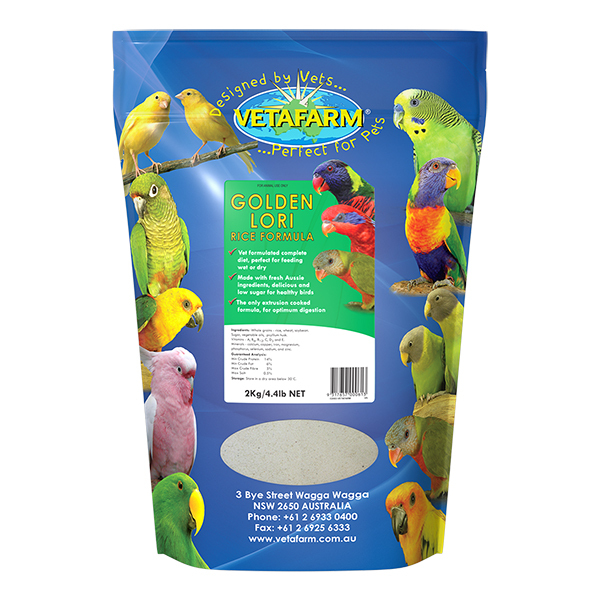 Can be used as prevention for Psittacosis once per year for 45 days. 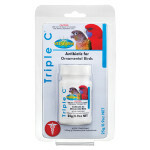 All birds as a front line antibiotic where a definite diagnosis is difficult. 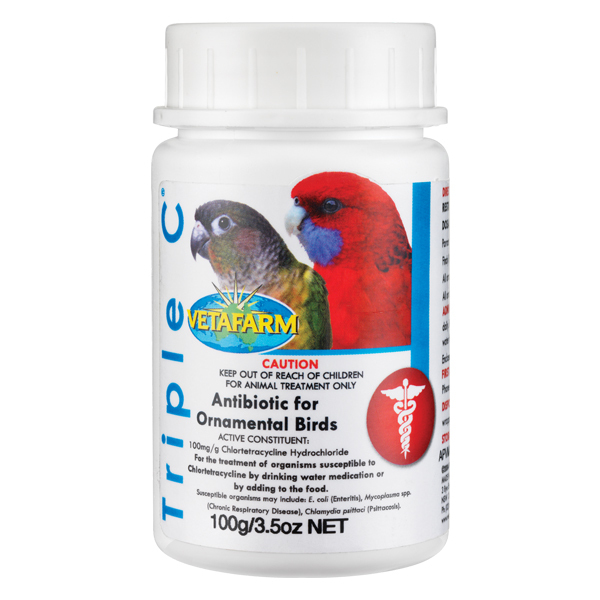 Also useful as a prevention for Psittacosis. Triple C should not be mixed in water with any other products. 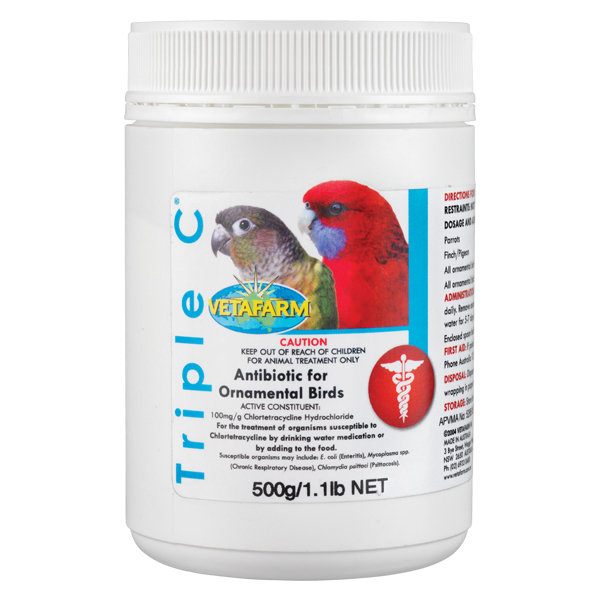 The effectiveness of Triple C will be reduced if calcium supplements are present in a bird’s diet, discontinue the use of calcium during antibiotic treatment. 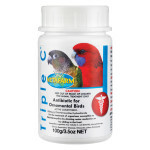 After a course of Triple C, Synbiotic should be administered to re-establish gut flora. Restraints: NOT TO BE USED on birds intended for human consumption. Administration: Remove all sources of unmedicated water and prepare fresh solutions daily. Remove sources of grit and calcium for the duration of treatment. 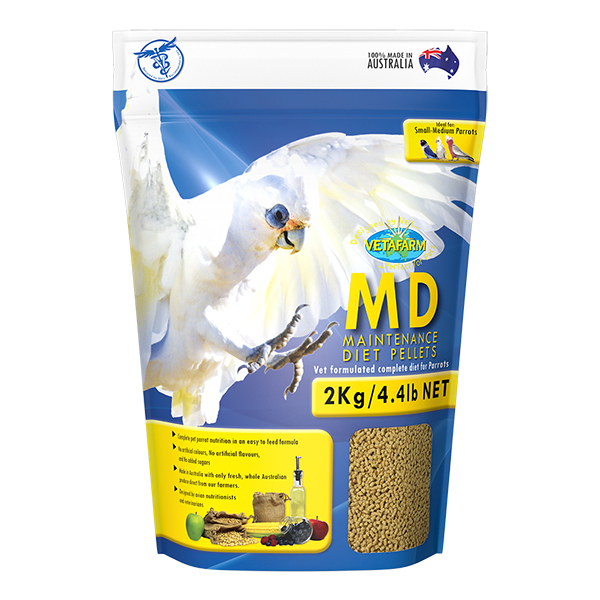 Supply medicated water for 5-7 days (Psittacosis 45 days) in glass, glazed or plastic containers. Enclosed level spoon holds approximately 1 gram.